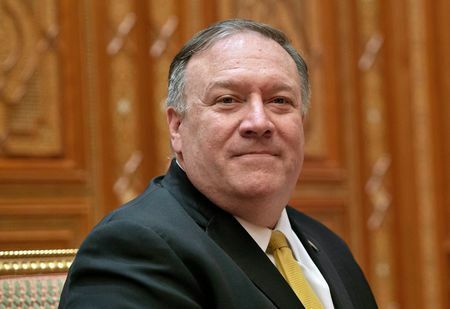 The meeting, led by US Secretary of State Mike Pompeo and senior North Korean official Kim Yong Chol, would happen on Thursday or Friday, the Chosun Ilbo said, citing an unnamed diplomatic source familiar with the talks. Both sides are expected to finalise the date and location of a second summit between US President Donald Trump and North Korean leader Kim Jong Un, and the North’s envoy is likely to meet Trump, the paper said. South Korean news agency Yonhap also quoted an unnamed diplomatic source as saying Pompeo and Kim Yong Chol could meet this week. The North Korean delegation could visit the United States “as soon as this week” but plans have not been finalised, a CNN reporter, citing an unnamed source, said on Twitter. Ahead of the possible meetings, a letter Trump sent to Kim Jong Un was flown to Pyongyang and hand delivered over the weekend, the CNN reporter added, citing the source. If confirmed, this week’s meeting could mean the two sides are nearing a compromise after a months-long standoff over how to move forward in ending North Korea’s nuclear and missile programmes. Pompeo, who made several trips to Pyongyang last year, sought to meet his counterpart last November, but the talks were called off at the last minute. Contact was resumed after Kim’s New Year’s speech, in which he said he was willing to meet Trump “at any time,” South Korea’s ambassador to the United States, Cho Yoon-je, told reporters last week. Washington and Seoul have been discussing potential US measures to reciprocate North Korea’s possible steps toward denuclearisation, such as dismantling the Yongbyon main nuclear complex or intercontinental ballistic missiles (ICBMs) aimed at the United States, South Korean officials told Reuters. The United States is considering partially easing sanctions in exchange for the North’s discarding and sending abroad its ICBMs, in addition to a freeze in its nuclear programme, the Chosun Ilbo said, citing the source. “Those ideas are being discussed as interim measures, not as an end state, in order to expedite the denuclearisation process because the North wouldn’t respond to any demand for a declaration of facilities and weapons,” a senior South Korean official said, requesting anonymity due to the sensitivity of the matter. Kim reiterated his resolve to meet Trump again during a meeting last week with Chinese President Xi Jinping. Trump also said this month he had received a “great” letter from Kim and would probably meet him again in the not-too-distant future. “At the second summit, they’ll probably focus on reaching a possible interim deal, rather than a comprehensive roadmap for denuclearisation,” said Cheong Seong-chang, a senior fellow at South Korea’s Sejong Institute.